SHAMON!! ~ The Official Michael Jackson Thread! Re: SHAMON!! ~ The Official Michael Jackson Thread! He's known to praise those who cover his works, like Alien Ant Farm did. Cosa succede a chi fa il figo! Troppo Bello da Guardare! Wow. A year already...just hard to believe he's gone. Remembering Michael Jackson. Share your tribute. Play the new Wii game! The official posthumous album drops December 14th including ALL previously unheard music. The first single, drops Monday. new single called "Breaking News" teaser! 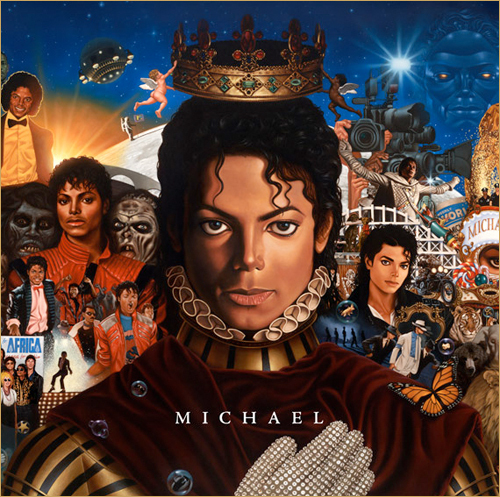 http://bit.ly/michaelpreorder Announcing the world premiere of "Breaking News," a new song from Michael Jackson's MICHAEL. "Breaking News," a never heard before song by Michael that appears on the new album, was recorded in New Jersey in 2007 and recently brought to completion. As the Michael album was being put together, it was decided to bring Teddy Riley on board to work on several songs, including “Breaking News,” a song Michael recorded with Eddie Cascio and James Porte in late 2007 while living at the Cascio family home with his children. Riley produced and submitted “Breaking News” to Sony for inclusion on the album. At that time, no one ever mentioned that the vocals we heard on the Cascio songs, which were basically in demo format, might not be Michael. It was known, however, that the background vocals were a combination of Michael and James Porte. After the tracks were submitted to Sony, three of these Cascio songs were selected to be on the album, and “Breaking News” was one of the three. The day after the submission and selection of the album tracks, for the very first time, the authenticity of Michael’s vocals on the Cascio tracks was questioned. The Estate then retained one of the best-known forensic musicologists in the nation to listen to the vocals without any instrumental accompaniment (“a cappella”), and to compare them with a cappella vocals from previous Michael songs. This expert performed waveform analysis, an objective scientific test used to determine audio authenticity, on the Cascio tracks, as well as previously released tracks with Michael’s voice, and reported that ALL of the lead vocals analyzed (which included Cascio tracks) were the voice of Michael Jackson. Just to be absolutely certain, I also contacted Jason Malachi, a young singer who some persons had wrongfully alleged was a “soundalike” singer that was hired to sing on the Cascio tracks, and I confirmed that he had no involvement with this project whatsoever. Although there still seem to be concerns being expressed in some quarters about the authenticity of the lead vocals, notwithstanding the opinion of those who worked with Michael, and two independent forensic analysts, ultimately, Michael’s fans will be the judges of these songs, as they always are. We take all fan comments very seriously, and as I’d stated above, there is nothing more important to the Estate than Michael’s music, his legacy and his fans. Happy 52nd Birthday Michael Jackson!!!! KING OF POP! All da rest are just imitating. who is going to the cirque de soelil show "THE IMMORTAL World Tour"